Management is the set of professionals that design an organisational structure and determine the aspects that help the organisation for interacting. There are various aspects considered by the management for their organisational structure such as simplicity, flexibility, reliability, economy and acceptability. The major functions of management are planning, organising, directing and controlling the activities in order to attain the set desired outcomes. Management get divided into three basic parts such as top-level management (it includes board of directors, president, vice-president, CEO, etc. and they are held responsible for planning and directing the whole organisation processing, middle level management (it make inclusion of general managers, branch managers, departmental managers as they get direction from top level management in order to perform their functions in their respective departments. Their responsibility is to organise and direct the activities.) and low level management or first level management or operational level management (it make inclusion of managers or supervisors, section leads and they put their focus over controlling and directing). There are various different definitions were rendered by the different authors for management. As per Ghislain Deslandes management is the vulnerable force that helps in achieving results even when there is huge pressure and follows the triple power of constraint, imitation and imagination, operating over objectives, interpersonal, institutional and environmental levels. Where Peter Drucker saw the basic task of management as twofold: (a.) marketing and (b.) innovation. Both the factors are interlinked as for innovation there is need of marketing and with the help of marketing innovation get made effectively. These factors are basic and essential essence for the purpose of attaining success. On the other hand Fredmund Malik define the management as it is process of transforming resources into useful products. And Henri Fayol stated that management is responsible for managing, forecasting, planning, organising, commanding, co-ordinating and controlling the activities. So there are different aspects attained by different authors but everyone is focused over the success of the organisation. So it is concluded that effective management helps the organisation in attaining their set desired goals in adequate manner. Management is not the recent as the time passes it get changed and enhanced. The best example of yesterday and today management is personal management (yesterday's management) and human resource management (today's management). Both management perform their activities for the betterment of the business organisation but the processing of both management type is much different. Henri Fayol stated that management is the process to forecast, plan, organise, command, co-ordinate and control. Fredmund Malik stated that management is the process of transforming resources into utility. and many more stated by various other people over management. Management is not the new term and there is effective historical development made into it. As the time passes, change in workplaces or industrial revolutions during 18th and 19th centuries there are effective modification or development made among the management. The best example of the management are Pyramids and Great wall of china. Management get structured as per the nature of work such as in an profit earning organisation primary function of management is to satisfy the wide range of their stakeholders. Their main focus is implied over making profits, creating valuable products and services for their respective customers, and render adequate as well as effective employment opportunities to respective employees. Whereas in non-profit organisation their management focus over developing the level of faith of their donors. 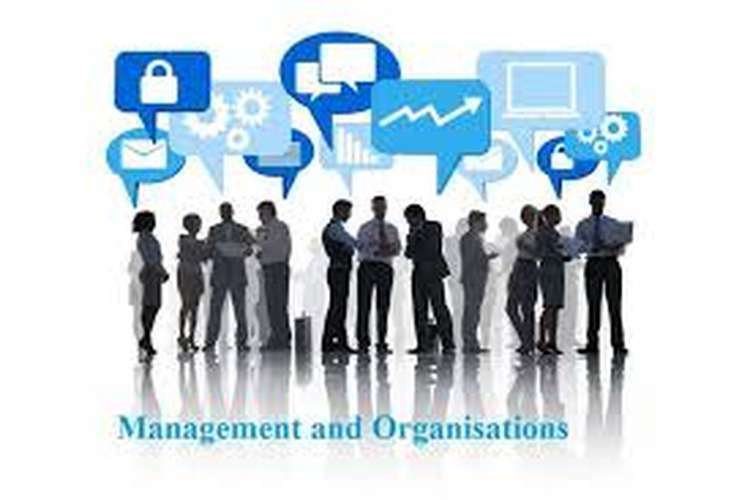 Management plays a vital role in the success of the business organisation. Every organisation having their own goals or objectives and managers render effective guidance in order to accomplish them adequately. Or management basic role is to run organisation in adequate manner towards their goals and purposes. They are entitled to make adequate use of the available resources, and also ensure that all the activities get designed in effective manner. Management take care of the employees that help in attaining their set goals. There are various different department in organisation and each department have their own management such as sales management (their responsibility is to maintain adequate share of sales), manufacturing management (they manage the manufacturing process to meet out the demand), and many more. Management put their emphasis over the utilisation of available resources in order to attain their set objectives. The best example of yesterday's management and today's management is personal management and human resource management. Personal management is the traditional management approach that focuses over the employees over. As per this approach organisation fulfil personnel needs of employees to execute organisational activities and manage the relationship of employee-employer. It create job satisfaction as management fulfil the needs of the employees. Line managers are aligned to take care of the employees as they have direct contact with their employees. Managers having effective relationship with their employees. As the time passes there is effective change in noted down in the approach of dealing human resources in an organisation. There is introduction of human resource management in which there is a separate department is formed that works for the betterment of the employees as well as take care of the legal issues of the business organisation. They are responsible for hiring, training and development, and manage all issues related to the employees and render them effective solutions. Human resource department identify the requirement of the employees and render them training for the purpose of enhancing their skill set that helps in attaining the available growth opportunity. Management "Yesterday" & "Today". Management is managing the activities and people in order to attain the set objectives of the business organisation by making adequate use of the available resources. Management is the not utilised recently it get utilised from many years. Management is the set of the professionals that develop strategy in order to organise and co-ordinate the efforts of the employees in order to attain the objectives of the organisation by making adequate use of their human, financial and other resources in effective and efficient manner (Schuler & Jackson, 2014). Top level management: - It make inclusion of the Board of Directors, Chief Executive Office (CEO), President. They are engaged into setting strategies and making decisions on behalf of organisation to enhance their operations. Middle level management: - It make inclusion of the branch managers, regional managers and section managers. Their responsibility is to communicate the strategies to the operational level managers. They get the targets from top level management and make use of them for preparing effective planning. Lower level management: - It make inclusion of managers, supervisors and front line team leaders that render adequate level of support or direction to their respective employees in order to process the activities so that they attain the set objectives for organisation (Schuler & Jackson, 2014). In order to run the organisation successfully their management make identification of mission, objectives, procedures, rules and manipulation of their workforce in order to make adequate and required contribution. Management is present everywhere and its initial motive is to improve the processing of the organisation. Management require adequate workforce, proper communication and positive working environment. There are few necessary components of the management such as plans, motivational tools, goals or objectives, economic measures. Mark Parker Follett stated that management is the art of getting things completed with the help of people. The management structure get influenced with the work of nature as profit making organisation having different structure that focus over earning profits. Whereas non-profit making organisation having different structure as they focus over gaining trust of their donors. Government agencies and public companies having different management structure as per their working style (Kothari & Lahiri, 2012). 1. There is a requirement of developing a science for each element for every individual's work as it helps in replacing the old rule-of-thumb method. 2. Select the method scientifically, then train, teach and develop their employees (earlier employees select their work and trained themselves in which they were best). 3. Management need to render effective co-operation to their workers in order to make sure that all set of work is completed as per the selected method. 4. Divide the work as well as responsibilities equally among the management and workers. Management allocate the work as per the capabilities of their employees in order to make effective execution of the work (Oaks, 2010). Scientific management emphasis over putting right person over right job along with correct tools and equipments. Workers need to follow the instructions in adequate manner and management need to motivate them with the help of monetary benefits. Earlier management was focused over increasing employees productivity by making reducing in wasted motion. Whereas now-a-days management make use of time and motion studies for the purpose of increasing productivity. For this purpose they hire best qualified employees and in order to motivate them they design effective incentive system which is based over their output (McDowell & Leavitt, 2011). Work division: - Employees are specialised in different area and attaining different set of skills. As per Henry fayol specialisation effectively promote the workforce efficiency and increase production level. It also increases the accuracy and speed of employees (McDowell & Leavitt, 2011). Authority & responsibility: - Management attain authority in order to render order to their employees. Authority brings responsibility. Discipline (respect and obey employees): This principle focused over the good conduct and respectful interactions. Unity of command (employees get orders from one superior only): It helps in identifying the lacking or lope holes. When an employee get instructions or orders from number of managers lead to confusion or conflict among employees (McDowell & Leavitt, 2011). Unity of direction: With the effect of this principle employees focused delivering the same activities that get linked with the same objectives. All employees become effective team in order to carry out the work as per their described plan of action. Subordination of individual interest: The primary focus over their organisational objectives instead of individuals. It is implied over all workforce including employees as well as managers (Chung, et. al., 2012). Remuneration: Remuneration must be in sufficient amount so that their employees remain motivated and productive. Remuneration can be monetary (bonus, incentives, compensation or any other financial compensation) and non-monetary (recognition, reward, additional responsibilities, etc.). It make inclusion of rewarding the efforts put by the employees (Chung, et. al., 2012). The degree of centralisation: There is effective requirement of balanced decision making process among management and authority. Fayol put emphasis over the requirement of balanced decision making process in order to attain the success. Scalar chain: Fayol stated that there must be effective management chain so that employees make contract with right person at the time of requirement. It helps in effective performance at the time of emergency. Order: Mangers responsibility is to provide safe, secure, clean and friendly working environment whereas employees are responsible to make optimum utilisation of the resources (Masterson, et. al., 2010). Equity: Fayol stated that their employees must treated equally and kindly. Employees must appointed over right place so that they process the things in right manner. Manager supervise and monitor the process and treat their employees fairly and impartially. Stability of Tenure of Personnel: Management is focused over reducing the ratio of employee turnover by assigning right person at right place. Their focus areas like frequent position change and sufficient development get managed in effective manner. Initiative: Fayol put emphasis over allowing the employees in order to render new ideas as it encourage the interest and involvement and also add value to the organisation. As per Fayol it motivate their employee and encourage them for getting involved and interested (Masterson, et. al., 2010). Esprit de Corps: It make contribution towards the development of organisational culture and create effective working environment including mutual trust and understanding. All these principles are rendered by the Henri Fayol that get utilised by the management in order to manage organisational performance. They also get utilised as an effective tools for the purpose of forecasting, planning, process management, organisational management, decision making process, co-ordination and controlling (Heaslip, 2014). Max weber also stated that management is an form of organisational characterised on the basis of the labour division, clearly defined hierarchy, detailed & clear rules & regulation and interpersonal relationships. Weber put emphasis over rationality, predictability, impersonality, technical competence and authorisation (Heaslip, 2014). It is also termed as operations research and management science and it get utilised for the purpose of enhancing decision making process. It get developed with the use of different military techniques in order to resolve problems. It make inclusion of the statistics, optimisation models, informational models and computer simulations. OB or Organisational Behaviour is the study over people at work. As per Owen, Munsterberg, Follett and Barnard human resources are most important aspect on the basis of the organisational perspective and get managed accordingly. Management is engaged for the purpose of employee selection, implementing employee motivation programs, employee work team and many more (Klein, 2012). Closed systems: - These management systems didn't get influenced or didn't make interaction with their working environment . Open systems: - These management systems have dynamically interaction with their working environment (Klein, 2012). Organisation make inclusion of various factors such as individuals, groups, attitudes, motives, goals, status, authority and many more. These factors perform their activities together in order to attain the common targets. System approach implications: - Organisational coordination is the essentially needed in order to get proper functioning within an organisation. Decisions and actions taken into one department should impact the other department of organisation. Organisation adapt the changes made in their external environment as they are not self-contained (Nadkarni & Chen, 2014). There is no specified universal rule implied over all working situation and it get depend over "if", "then". Management need to follow different methods or techniques in order to deal with different situations. There are four kind of contingency variables such as size of organisation, uncertainty in environment, routineness of task technology and individual differences (it make inclusion of individuals desire for growth, tolerance capacity, expectations autonomy and many more). It is also termed as situational approach. Organisation face different situations, having different individuals and also require different methods of managing (Nadkarni & Chen, 2014). Globalisation: - With the effect of the globalisation there are no specified national borders and in organisation different people of different cultures performing their activities together. Management need to cope-up with anti-capitalist backlash because universally economic values are not transferable and effectively get modified in order to reflect the values in such countries where they are operating. Organisation move in different countries for low wage rate employees along with this they also welcome well-educated individuals for their work. There is adequate increase in the international organisation that lead towards increase in international market and businesses. Organisation face challenges related to the political and culture related to the global market (Wagner, 2012). Ethics: - Management get an additional responsibility of maintaining and following business ethics in order to perform their activities in effective manner. Following ethics helps in building adequate level of reputation, trust and faith among different stakeholders. There is effective increase in the emphasis over the ethics. Business organisation increase usage of codes of ethics (Wagner, 2012). Workforce diversity: - There is effective diversity is noted down in the workforce availability as it make inclusion of age, gender, race, ethnicity, culture, education, qualification and many more. These factors brings broad category of view-points and problem solving skills and many others that helps in processing business activities. There is effective increase in the older employees who work for longer duration and didn't get retire. For older worker there is effective increase in the cost of public and private benefits. Along with this there is subsequent increase in the demand of products and services related to aging. E-business: With the increase in the technology there is effective increase in the e-business activities. As in this kind of business all business activities get performed online or with the use of internet or electronic links so that they attain their goals or objectives in effective and efficient manner. With the introduction of e-business there is adequate changes are noted down in management as management need to take care of the offline as well as online business activities in order to perform the activities legally and successfully. There is effective enhancement is noted down with the help of the e-business facility (Ilic, et. al., 2012). Knowledge management: - With the effect of it organisational management focuses over developing their capacity to learn, adapt and implement change continuously. In this process organisational employees gather effective set of information in a systematic manner and also share that information with other team members in order to render better performance (Ilic, et. al., 2012). Quality management: - With the implementation of quality management organisational management is focused over rendering quality services or products to their respective stakeholders in order to satisfy their needs and wants. It also add additional responsibility over the organisational management. Quality of product is not having any direct relation with cost. Quality management is a philosophy of management that focused over continuous improvement among quality of work processes and give positive response over their customers' needs and expectations (Andrews, et. al., 2013). Entrepreneurship: - An organisational business that get run by individual or group of individuals in order to put organised efforts for the purpose of creating values and attain growth by fulfilling the needs and wants with the help of their innovative and unique ideas. There is innovation made among products or services or business processing. Individual or group of individuals focused over continuous growth of the business organisation (Uzuegbu & Nnadozie, 2015). Personal management is such management approach that helps in obtaining, using and managing satisfied employees. As per this approach management is effectively concerned with their employees at work station and build effective relationship with them for the betterment of organisation. Personal management is such approach that primarily concerned with organisational employees or human resource. It is planning, organising, compensating, integrating and maintaining the individuals or employees in order to make contribution towards attaining organisational, individual and societal goals (Popa, et. al., 2014). Normally personal management is the extension version of general management as they are concerned with motivating their employees in order to increase their efficiency so that they increase their productivity. It is based over the human orientation that help their employees in developing their potential. They are engaged into managing their employees as well as upper level managements (Popa, et. al., 2014). They render effective advices to their top management in order to prepare effective policies that are related to their employees or human resource. They are acting as a mediator among the top level management and employees. Personal management is indulge into attending problems and grievances related to their employees and try to solve them with the help of their top management. They put emphasis over building personal relation with their employees or human resources (Pauleen & Gorman, 2016). HRM or Human resource management is the new approach that focus over governing organisational employees. HRM department is responsible for creating and implementing policies in order to govern their employees behaviour as well as organisational behaviour towards their employees. Now-a-days HRM is a specific team of specialised person in order to process all activities related to managing human resource. They take care of their employees and treated as an their assets. The main function of HRM is recruitment and retention of employees, exit interviews, motivating employees, select assignments, take care of compliance issues and other regulatory framework, performance reviews, training and development programs for their employees and change management (Kramar, et. al., 2013). They are looking over organisational employees with macro perspective as they build collective relationship among their management and employees. They make recruitment on the basis of the requirement shows by the management and in the desired quantity only. They make right selection form the available job opportunities. They are also engaged in managing their human resource. HRM is focused over fulfilling the requirement raised by their management by providing effective and efficient employees and also put greater emphasis over planning, monitoring and controlling. HRM department covers various activities such as safety services, health services, welfare funds, social security, regulatory framework, eliminate workplace hazards, medical care, employment injury benefits, personal injury benefits, maternity benefits and many more (Stone, 2014). They perform their activities in order to safeguard the interest of their employees as well as safeguard their organisational goals and objectives (Stone, 2014). It is an traditional approach of managing employees in an organisation. It is an modern approach for managing organisational employees as well as their strengths in their organisation. They put their emphasis over personal administration, employee welfare and employee relation. It make assumption that employees get utilised as input in order to attain their desired outcomes. They make assumption that their human resources is valuable and important resource that helps in attaining their set desired outcomes. They perform personnel function in order to make their employees satisfied. They perform administrative function in order to attain their set goals or objectives. Under this management employees get less opportunities related to their training and development in order to enhance their skill set. Under this management employees get effective opportunities in order to enhance their skill sets. Management took decisions collectively after evaluating the participation of employees, decentralisation, authority and many more. Their main focus is over increasing production level and satisfied employees. Their main focus is over enhancing their effectiveness, culture, increase in productivity and increase in employee's participation. They are concerned with the personal management. They are concerned with all level of management from top to bottom level. It is a routine function. It is a strategic function. HRM focus over hiring and training of their workforce: - HRM identify the need of the human resource raised by the different departments of Organisation and after recruitment they provide selective training to them and also assign them over right job. It helps the department in getting right person for the right job (Higham, 2013). HRM take care of Performance Management System: - HRM are responsible for motivating their employees and in order to motivate them they render incentives or rewards or recognition. For this purpose they maintain PMS (performance management system) as it helps in giving rewards and recognition to their employees on the basis of their overall performance (Higham, 2013). HRM helps in building organisational culture and values: - HRM department provide effective working environment to their employees so that they perform effectively. They bring safe, secure and clean culture in order to satisfy their employees (Higham, 2013). HRM adopt conflict management: HRM department follows conflict management in order to reduce the number of conflict among their employees. They perform role of counsellor and mediator in order to resolve different issues. They took corrective actions in order to punish the culprit individual and take effective decisions in order to safeguard other employees (Higham, 2013). Recent origin: - HRM is the recent origin as there is lack of appropriate information about it. Different organisations having different aspects about it as some of them change the name of their personnel management to human resource management. Lack of support from top level management: - There is effective requirement of getting support from top level management. As the change is implemented with immediate impact but there is no such change is noted down among the attitude of top level management. Improper actualisation: - Human resource management is implemented in order to assess the employees requirement of attaining training and development. During the process of preparing policies it become necessary to make inclusion of aspirations and needs of employees. Human resource management is executed half-heartedly as it results into no change or increase in the productivity and profitability of the organisation. Inadequate development programmes: - With the implementation of the human resource management there are programs launched like career planning, on the job training and development, counselling and many more but these programs didn't get executed properly. With the implementation of these programs there is effective need of creating and learning environment in an business organisation. Inadequate information: - Some of the existing firms didn't have proper or adequate set of information related to their employees that hampers the process of implementing human resource management. Human resource management implementation require adequate set of information and with this effect there is effective need of collecting or storing or retrieving adequate information before making implementation of the human resource management. Personal management make their employees competitive: - With the effect of the personal management they nearly focus over developing their employees closely by rendering adequate trainings to them as per the immediate requirement. Personal management increase the retention of employees: - Personal management focus over building effective relation with their employees. They perform their work with them personally and meet out their needs. They emphasis over the employee benefits, advancement of employees carrier and developing their career. It helps in increasing job satisfaction level that help in increasing retention rate (Golden Pryor & Taneja, 2010). Personal management results in team work: - Personal management create strong bond among employees and management and it also encourage their employees to build effective team work. Employees understand their role and build effective teamwork. Personal management helps in creating Managerial effectiveness: - With the increase in the effectiveness of relationship among company management and employees there is effective increase in managerial effectiveness. With the effect of this employees make adequate care of the productivity and on the other hand managers take care of their employees in order to make their effective betterment (Golden Pryor & Taneja, 2010). 1. It is a time consuming process. 2. Managers need to manage their employees on daily basis. 3. It complicate the hiring and firing process by engaging lot many people into it. 4. It make use of the theories while solving a problem and doesn't prefer the practical solution of the problem (Golden Pryor & Taneja, 2010). In the end it is concluded that management is the group of professionals that get engaged into various activities such as forecasting, planning, organising, directing and controlling in order to attain the set organisational goals or objectives. Management is utilised from many years. It get utilised everywhere whether it is home or organisation or some other place, proper management helps in executing the activities in successful manner and also helps in attaining desired results in desired manner. There are various authors define the management in different ways but the conclusion of all definition is it helps in executing the activities in successful manner. As the time passes there are effective changes are noted down among the management. There are various approaches to management such as scientific management, general administrative theory, qualitative management, organisational behaviour, system approach and contingency approach. There are some trends and issues that put adequate impact over the management in order to changed it such as globalisation, ethics, workforce diversity, entrepreneurship, e-business, knowledge management and quality management. In order to give example of change in management between yesterday's and today's is personnel management and human resource management. Earlier organisation follow the personnel management to manage their workforce. Line managers are personally involved in managing employees on daily basis whereas as per human resource management different department named as human resource department is implemented in order to take care of organisational human resources. Andrews, N., Khalema, N.E., Oriola, T. & Odoom, I. 2013;2012;, Africa Yesterday, Today and Tomorrow : Exploring the Multi-dimensional Discourses on 'Development', 1st edn, Cambridge Scholars Publishing, Newcastle upon Tyne. Chung, T., Zhang, S., Wang, K.Y., Su, J. & Ling, M.M. 2012, "Forward osmosis processes: Yesterday, today and tomorrow", Desalination, vol. 287, pp. 78-81. Golden Pryor, M. & Taneja, S. 2010, "Henri Fayol, practitioner and theoretician - revered and reviled", Journal of Management History, vol. 16, no. 4, pp. 489-503. Heaslip, R.J. 2014, Managing Complex Projects and Programs: How to Improve Leadership of Complex Initiatives Using a Third-Generation Approach, 1st edn, John Wiley & Sons Inc, US. Higham, R. 2013, Speedbird: The Complete History of BOAC, 1st edn, Ib Tauris & Co Ltd, London. Ilic, M., Radnovic, B. & Zivkovic, Z.D. 2012, "SOCIALY RESPONSIBLE MARKETING - YESTERDAY AND TODAY", Journal of Economic Development, Environment and People,vol. 1, no. 3, pp. 59-73. Klein, D.H. 2012, "Yesterday, Today and Tomorrow", Inquiry, vol. 49, no. 4, pp. 293-299. Kothari, T. & Lahiri, S. 2012, "Yesterday, today and tomorrow: An overview of research publications in the Journal of International Management", Journal of International Management, vol. 18, no. 1, pp. 102-110. Kramar, R., Bartram, T., De Cieri, H., Noe, R.A., Hollenbeck, J.R., Gerhart, B. & Wright, P.M. 2013, Human resource management: strategy, people, performance, Fifth edn, McGraw-Hill Education, North Ryde, NSW;North Ryde, N.S.W;. Law, J.A., Broemling, N., Cooper, R.M., Drolet, P., Duggan, L.V., Griesdale, D.E., Hung, O.R., Jones, P.M., Kovacs, G., Massey, S., Morris, I.R., Mullen, T., Murphy, M.F., Preston, R., Naik, V.N., Scott, J., Stacey, S., Turkstra, T.P., Wong, D.T. & Canadian Airway Focus Group 2013, "The difficult airway with recommendations for management – Part 2 – The anticipated difficult airway", Canadian Journal of Anesthesia/Journal canadien d'anesthésie, vol. 60, no. 11, pp. 1119-1138. Masterson, A., O'Brien, J., Kyle, G. & Gundjeihmi Aboriginal Corporation 2010, The Mirarr: yesterday, today and tomorrow, a socioeconomic update, The Gundjeihmi Aboriginal Corporation, Jabiru, N.T. McDowell, A.M. & Leavitt, W.M. 2011, "Human resources issues in local government: yesterday's headlines remain today's "hot topics"", Public Personnel Management, vol. 40, no. 3, pp. 239. Nadkarni, S. & Chen, J. 2014, "Bridging Yesterday, Today, and Tomorrow: CEO Temporal Focus, Environmental Dynamism, and Rate of New Product Introduction", Academy of Management Journal, vol. 57, no. 6, pp. 1810-1833. Oaks, D. 2010, "Improved end-of-life cycle management: yesterday's equipment conserving today's dollars", Defense AT & L, vol. 39, no. 5, pp. 14.